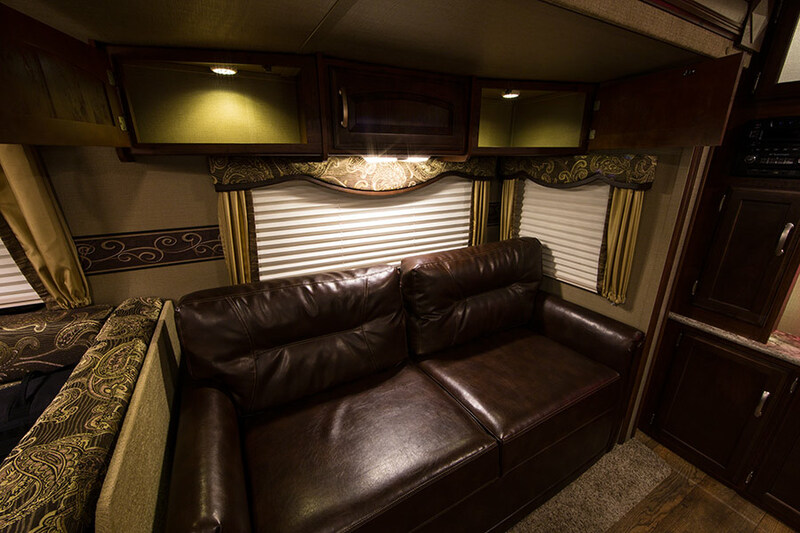 Touch Switch LED Stick-Up Lights: Shown Installed In RV Cabinets. 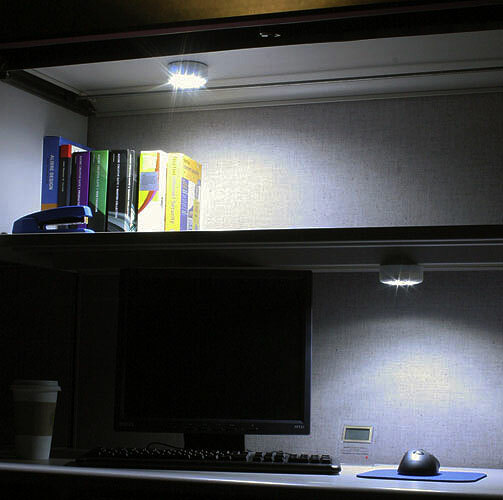 These LED stick-on lights provide convenient, portable or fixed illumination that is great for cabinet lighting, closet lighting, camping lights, hallway lighting, RV interior lights, and more. 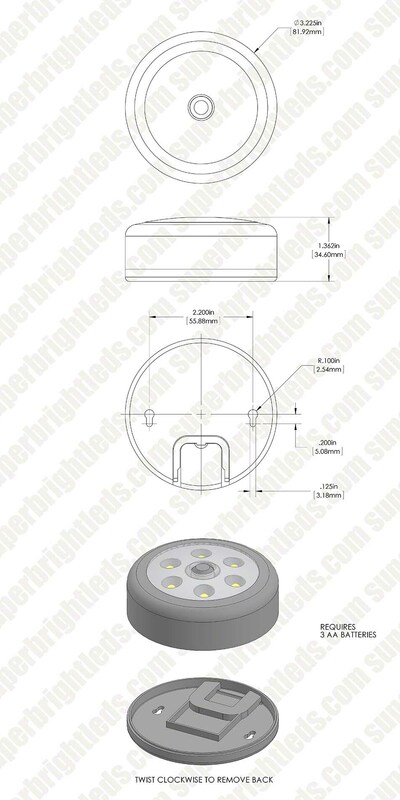 The battery-operated lights are available with 15 LEDs in cool- or warm-white color. 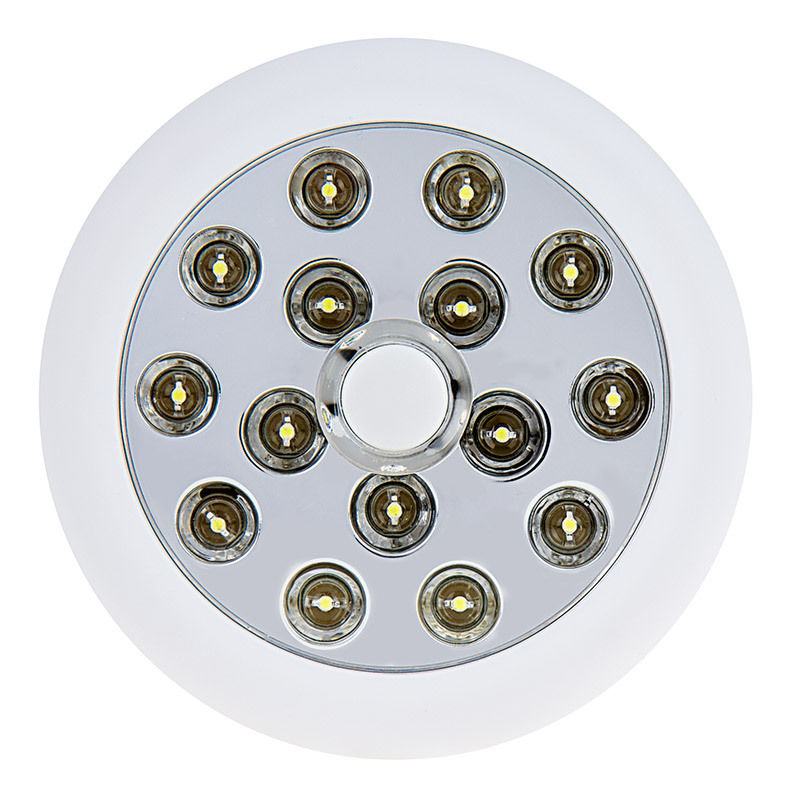 A touch-button switch activates 3 brightness modes on the 15-LED light. 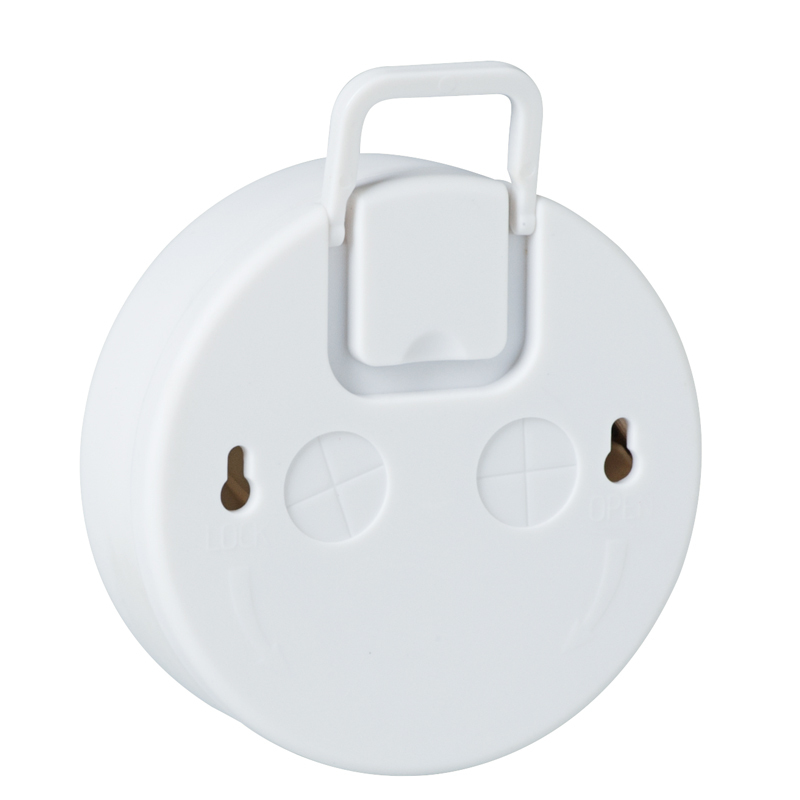 Hang the stick-up light with its back-mounted hook, screw holes, or double-sided adhesive (not included). Requires 3 AA batteries (not included). Rotate back plate off and insert batteries. I bought several of these to use as closet lights. The self-stick ability was a desired thing but when the batteries were added to the total weight the lights would not stay up without the screws. The screws, being small, are not a problem. 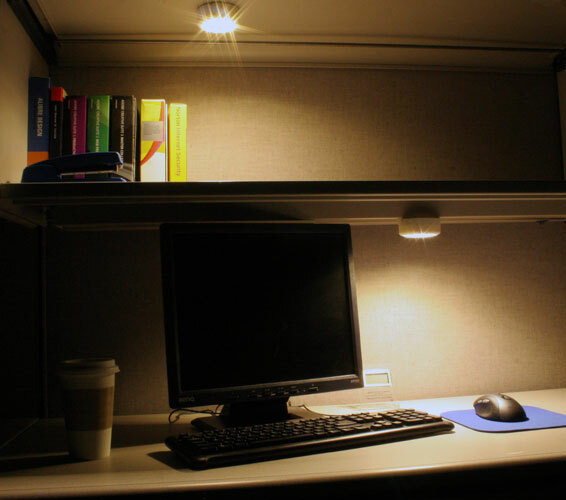 It gives adequate light for their use. A high quality Foam Tape, such as our 3M-FTP Double-Sided Foam Pad , will hold these up without screws. I have several installed in cabinets on a boat that that have been up for years with no screws. I bought 4 of these lights and found a dozen more places that I need them. Work great, always where you left or stuck it up. Battery life will last a very long time. Can use anywhere you need adjustable light. We bought 2 of these to have as bedside lights when camping, ordered the same "warm white" on both, however once appears more white and the other appears more yellow. Not sure if they were just mis-labeled or what. As cheap as they are haven't gone through a return/exchange process yet, but still good lights. They have several brightness levels, easy to change batteries on, overall another good Superbrightled product! Great light! Illuminates the advertised 35 sq. ft. with a nice warm white light. Purchased to replace old "pop" lights. These work great, use fewer batteries, and last longer. My wife helps organize the Relay For Life (an overnight fundraiser for the American Cancer Society) in our town. Since it's on a high school track that is not lighted, the portapotties get a little dark. We bought a dozen of these lights and we tiewrap them to the screen in each one. 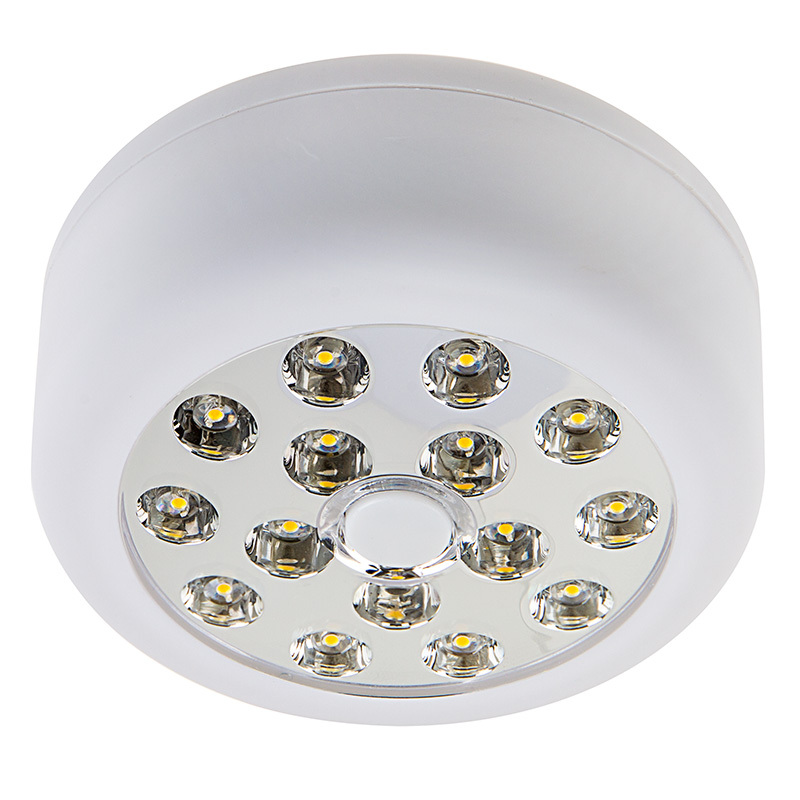 the light level is perfect and we got LOTS of positive reviews. In fact someone liked them so much, that a couple dissappeared last year. The batteries are still going strong when I gather them in the morning. On a related note, we've also replaced an old battery light in the outhouse at our summer camp with one of these and the batteries are still going strong after several years.